The extraordinary door handle is found on the portal of the eldest church of the monastery Frauenwörth in the Chiem Lake. 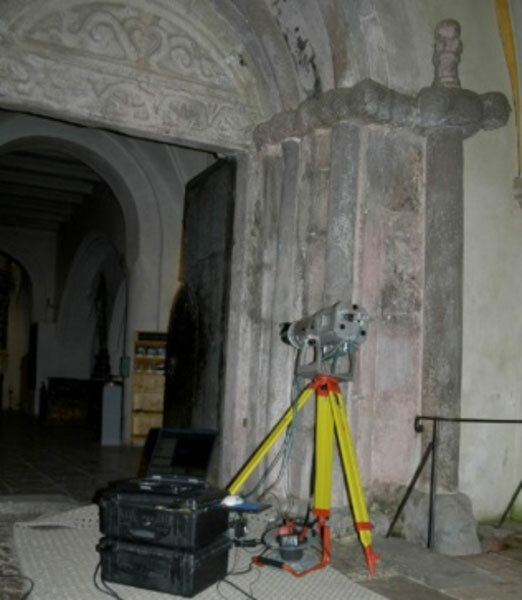 Commissioned by the Archaeological State Collection Munich in 2007, we documented the whole Roman portal as well as the door handle with a combination of terrestrial 3D-laser scanning and high resolution structured light scanning. Finally, a precise replica of the door handle was built from the 3D-model, so that the original could be replaced by a bronze copy. The masterfully created human-faced lion head is on the outer side of a small central door in the two-winged portal. 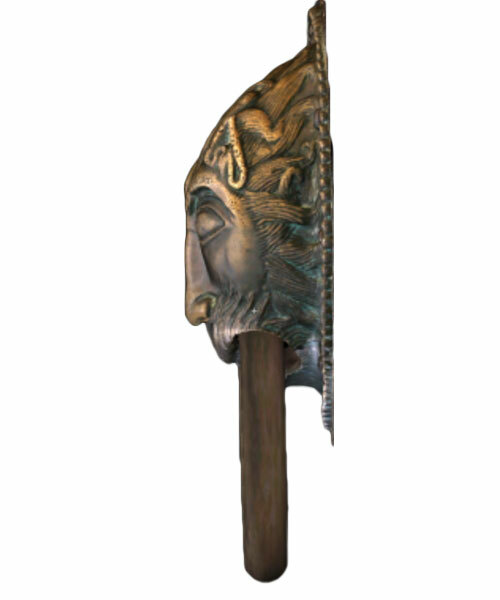 The lion head was long thought of as being from the Late Middle Ages. According to latest research by Hermann Dannheimer, related pieces have been created in the name of Charlemagne in Aachen. Supposedly, they were created in the late 8. century – shortly before 800. According to Hermann Dannheimer also some other elements of the portal can be assigned to the oldest church of the Frauenwörther monastery, the door opener probably could also date from around 780. It would then be associated with the monastery founder and Bavarian noble Duke Tassilo III. (around 741-796).